10. Brad Friedel – Older than the Gobi Desert, the general consensus was that Friedel was bought in to see out his footballing days at Tottenham as a reliable back-up. Then we all remembered who was inexplicably first-choice at White Hart Lane and suddenly roping in the Bankrupt Yank on a free seemed like the best transfer ever tendered. For the record, he’s also been pretty decent since, racking up 11 clean sheets in 30 games amid a plethora of knee-creaking saves. 9. James McClean – While we’re still not as overly enamoured with McClean as the rest of the nation appears to be, we’re willing to admit that he’s done the business for Sunderland since getting promoted to the first string by Martin O’Neil in December. Plucked from relative obscurity in the summer, the 22-year old winger’s direct, relentless, propulsion-based ‘leg it/cross it’ style has been a significant factor in his side’s upturn in fortunes during the second-half of the season. Four goals in 12 starts ain’t half bad for a wideman either, and going from pootling around in the League of Ireland to a likely inclusion at the European Championships in the space of 11 months is nothing to be sniffed at. 8. Martin Skrtel – A bit of a klutz in his first few 100 outings for Liverpool, Skrtel has finally begun playing in a manner befitting his appearance – a berserk Gulag escapee. The Slovakian centre-half has been nigh-on impenetrable this season alongside Dan Agger, a reliable, concrete partnership which has finally allowed Jamie Carragher to start stepping aside two years later than scheduled. 7. 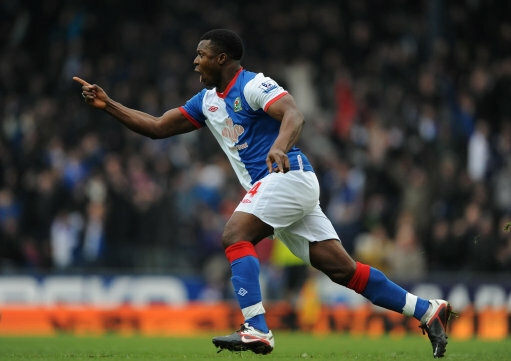 Yakubu – The Yak has snaffled 14 goals in 21 starts for Blackburn so far this season, which is impressive enough as of and in itself. However, when you factor in that Steve Kean’s side have been besieged by protests, calls for the manager’s head, been largely pap and mired in the bottom three for the vast majority of the campaign, his goals are given an added element of lustre. A much, much better, more technically adept player than he’s given credit for. 6. Arsenal – Hands up, we, like many other non-interested parties, backed the Gunners to falter this season and, up until November time, it looked like we were going to be proven right – with a slew of flimsy recruits failing to bed particularly well. Three months down the line, they’re now riding side-saddle on the back of an seven-game unbeaten run that has seen them maraud into the top three. 5. Robin van Persie – While we’re talking Arsenal, it’d be remiss not to mention Van Persie who, endless avalanche of goals aside, is yet to sustain a proper injury this campaign. Seems that horse placenta really did do the trick. 4. Swansea – Nine years ago, Swansea were at the very bottom of the entire English Football League, 24th in League Two. As we speak, they are occupying the 10th rung of the Premier League ladder. Brendan Rogers has facilitated a style befitting the gradual phasing out of blood-and-thunder football in lieu of a more delicate, possession-based approach and it’s worked wonders – chiefly due to his personnel. Leon Britton (90-odd% pass rate! ), Danny Graham (12 goals in his debut Premier League season) , Joe Allen (tiny, Welsh and brilliant), Scott Sinclair (designated penalty taker!) Sigurdsson (5 goals in a month and a bit), Williams (highest block rate in the division), Vorm (super sweeper ‘keeper) – they’ve all been wonderful to watch in their respective capacities. When even your goalkeeper has a higher pass-completion rate than Joey Barton, you know you must be playing some good stuff. Swansea’s maiden outing in the top flight has largely been an utter joy to behold for those who favour the triangle (*ahem*), though – without wishing to put a downer on things – we all felt the same way about Ipswich, Hull and Blackpool not so very long ago. Just saying. 3. Grant Holt – In a Norwich side that have matched Swansea in the points stakes with an altogether less fashionable ethic, one man still manages to stand out by virtue of his scoring feats – though, what we admire the most about Holt is the fact that he’s been almost unilaterally written-off at every level he’s ever played at. Workington, Halifax, Sorrento (in Western Australia), Barrow, Sengkang Marine, Barrow, Sheffield Wednesday, Rochdale, Forest (played on left wing), Blackpool, Shrewsbury and now an impressive 12-goal (and counting) haul for a newly-promoted Premier League side – with fervent, mainly partisan and not to mention a little optimistic calls for an England call-up to boot. 2. Newcastle – Sixth, level on points with fifth-place Chelsea, back chasing European football and playing ‘champagne football’ with a squad chock-full of exciting, ebullient players assembled at a cost of next to nothing. That relegation was the best thing that ever happened to them. 1. Steve Kean – Despite every universal force having been trained on removing him from his post from the offset, Kean the Glaswegian limpet has hung in there and is still employed. In March! It’s a minor miracle. Rightfully so, we’d venture, as nothing he has done over the course of the past six months has actually merited a sacking – so much so in fact, that he is no longer the focus of the revolting fans’ ire. That esteemed honour now lies with the fowl merchants up in the boardroom, which probably tells you all you need to know about the crass, mis-guided nature of fan protests and the inherent lack of understanding that tends to underpin them all. 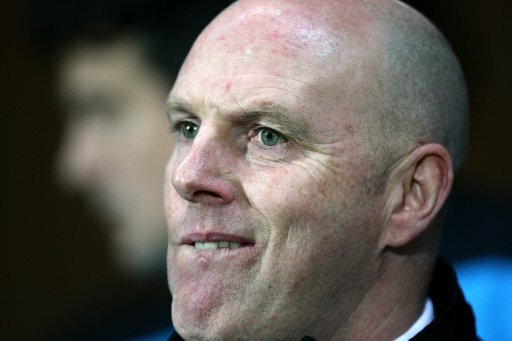 Here’s hoping Kean keeps Blackburn up after the gruelling siege of a season he’s endured. agree with relegation the best thing that happened to NUFC, got rid of all the high-earners that were only there to pick up there payslip. @Tom: Just realised that I’ve deleted an entire paragraph about Ba from the Newcastle entry by mistake. great top 10 – you nailed it…swansea though are a different breed of team than ipswich, hull and blackpool. Those teams never played the way swansea do if you remember – very energetic but they lacked style. with that being said I hope the rich vultures of the premier league dont strip the team of their quality-or brendan rogers. Quote on Kean “Nothing he has done over the course of the last 6 months has actually merited his sacking”. What about before then, when he took over after allegedly getting big sam the sack we went from 8th place to ending up in a relegation battle only surviving on the last day, still then the majority of the fans backed him. Then this season We have been battling relegation all season long, when the shout’s for him to be sacked were at their highest we were bottom of the league we are still NOW only 5th from bottom and only 3 points from the relegation zone. How the heck anyone can say he should be manager of the season for these FANTASTIC results I have no idea. @Pete: So we are meant to chastise him for taking a job he was offered? He’s been given an unnecessarily rough (and ultimately counter-productive) ride from the off this season and kudos are due for him sticking it out. Steve Kean proves that supporters are so fickle and idiotic that half of the time they should be forced to live in shame. @ejutds, i don’t think blackboop lacked any sort of style. Mr (impish) holloway was style incarnate, albeit in orange. What they lacked was a defense, nothing else. They scored in every game they played. And they looked good while doing it. I hated being a Manchester United fan on the last day of the season, because if we had lost blackpool would still be in the premier league, and Charlie Adam would be seeing some constructive regular first team football. No Demba Ba?! Surely he’s more of a surprise than Van Persie and Yakuba?! Sorry, the page refreshed by the time i’d posted that comment. Just seen you deleted a Ba paragraph from the Newcastle entry. Still think he should have had his own mention though! no 9 Chris, I suspect if you were a Blackburn fan you would think differently (You are welcome to have him come and manage your team, you can have him on a freebie transfer) ;-). I ask again what has Kean actually done, we are in the relegation zone for the 2nd year running and he decided to deliberately “Forfeit” (His words) our Carling Cup run against Cardiff. Whilst big Sam wasn’t the greatest manager ever at least we were not fighting for our lives every season. Kean has brought in some totally rubbish players, including his OWN agent’s son Myles who couldn’t even get in the Aberdeen team, yet he is suddenly good enough for the Premier League, whilst selling decent ones, although he may not have had much choice in either matter but it is still him in charge. He is the one who was saying we are going to be challenging for European places no one forced him to say that. Personally I suspect our recent couple of wins have been down to his new assistant Eric Black rather than anything he has actually done. As you can tell I am not a fan our manager. I suspect James McClean might not have been included had it not been for his special mention on MOTD this week, although rightly so because he is long overdue for being brought to public attention and in my opinion plays reminiscent of a poor-man’s Gareth Bale (which is no bad thing). Skrtel does indeed look like he should be liberating Polish ghettos on the Eastern Front, circa 1945. Forget Arsenal or RVP being there, the Arsenal Board should be in this list for yet again escaping a season not spending any decent money. To think that a run of wins and 3rd place is what some fans will settle for sickens me. Finishing above Tottenham is no great achievement, Arsenal FC should always be doing that. @Robin, I agree that Blackpool were stylish, but I think what the other guy was trying to say is that there’s a lot more method in Swansea’s ‘madness’. Where those other clubs succeeded (briefly) because of an all-or-nothing hunger to beat perceived ‘bigger’ opponents by simply wanting it more (and then struggling against other small teams), Swansea are succesful because they play a much more considered and careful game built on possession and meticulous passing. I’d wager they will stay in the league for as long as-in order of importance-Rodgers, Britton, Vorm and Allen stay (or are adequately replaced). Steve Kean is an absolute legend. A lot of people had Blackburn down as favourites for 20th in the league at the start of the season, and the Blackburn squad on paper, say compared to fellow strangers Bolton and QPR, is poor to say the least. But look at their goal tally; he’s got the best out of Yakubu and as has been shown recently (at least until they let the emotion of the Bolton game get the better of them) that if they put in a good shift at the back, they’ve got the quality further forward to win the game. I’m not saying Blackburn are a great team, but under Steve Kean they are a COMPETENT team, which is more than can be said for say, Aston Villa, QPR or Wolves. I love Ba, cuz i’m from Africa…but meh nice list. From what Sky Sports News has been telling me the new ownership at the Rover’s, love Kean and havn’t had thoughts about sacking him. Some of the British blokes being interviewed didn’t sound to happy about them(Ownership). Why is that useless fat cheat on the list? Grant Holt has been a consistent scorer in all of the divisions. With Ricky Lambert at Rochdale! he was awesome! A player i have admired for a long time. He is a hard working front man, and a great finisher! Forest playing him on the wing… wtf…what a waste of a talent! make it top 11… papiss demba cisse !